Ballpark Estimate: $30,000 to $16 million. 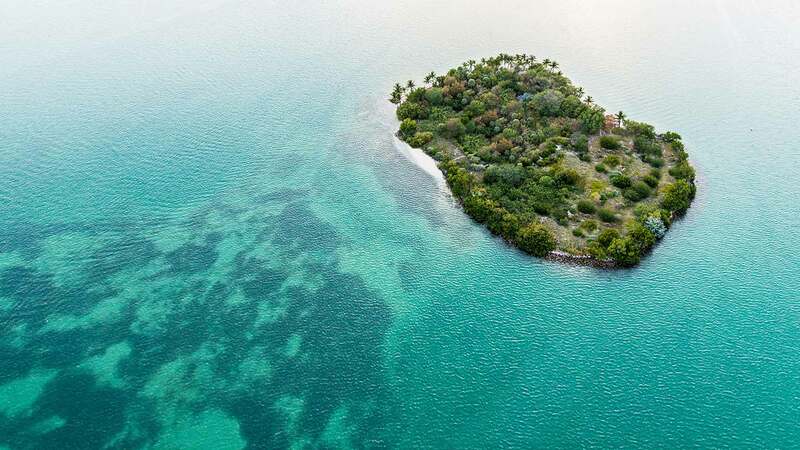 Have you ever fantasized about owning your own island? Perhaps a remote place where you can run away to escape from the pressures of work and your other responsibilities? Well, even if you aren’t rich, the possibility may not be all that far-fetched. Some private islands start at about the same price as a small cottage on the mainland. Therefore, with a modest amount of money to invest, as well as lots of research and a bit of determination, someday you may actually be able to own your own private hideaway. There are numerous options when it comes to islands available for sale today. You might consider buying a tiny, and relatively affordable, island off the coast of Maine, or you could invest in your own vacation spot in Canada, where islands prices are even lower than in the U.S. Or perhaps you prefer to splurge to own a piece of land in a more tropical climate, such as the Caribbean, where for a few million dollars and up you can own your own paradise, ripe for development of an upscale resort. No matter what your budget and your preferences, the choices abound. You just have to determine what you want and where. If you think that owning an island is right for you, there are some things that you’ll need to decide in order to help you narrow in on the perfect location. For instance, do you want to live somewhere off the beaten path, or do you prefer to be in close proximity to civilization? In addition, do you want to purchase an undeveloped plot of land or do you need an island that already has a home and/or buildings and services there? Keep in mind that a very remote and untouched island will be kindest on your wallet, yet the expense of transporting building supplies and getting workers to the island will end up costing quite a bit more than comparable construction on the mainland, so in the end a bargain may not be quite as cheap as you thought. In addition, you will need to research some of the finer points, such as how buildable the land is, how difficult it will be to get actual building permits, and whether you will be able to add water and utilities easily. In addition, if your plan is to construct a large-scale resort, you will want to investigate how feasible the details will be. On the other hand, while it will generally cost a lot more to purchase an island that already has a home, or homes, on it, at least you will know what you are getting into and won’t be as apt to incur unexpected costs. So in the long run, spending more money up front can actually be a more cost-effective option. Just realize that if you don’t plan to live there year-round, you may need to hire a caretaker to stay on and take care of things in your absence. When, and how often, you plan to visit your island also plays a big part in the equation. For instance, if you will only visit in the summers, seasonal places like the U.S. and Canada make sense, but if you will want a warmer climate so you can visit anytime or even live there year round, consider other areas like Panama, the Dominican Republic, Belize and even Nicaragua. Finally, keep in mind that how accessible your island is will make a big difference, since you need to be able to get there easily if you plan to go frequently. Therefore, consider how close the island is to a main airport and how difficult travel is from there. Once you decide on the logistics, you will want to do some homework to find the right spot to make your dreams come true. You can do a search on the Internet to find some great options. There are several companies that specialize in showcasing available islands for sale and also providing some of the facts and considerations that are important when shopping for such a big, and long-term, purchase. You can check out Private Islands Online and Vladi Private Islands for resources to help you with your search. When you do find some islands you like and want to explore, be sure to ask lots of questions and find out all of the facts. Realize that northern islands generally cost a fraction of what tropical islands go for. This is because the tropical islands are more desirable due to their more temperature climates and the fact that they are also in shorter supply today. These factors drive the price up a great deal. How much are you willing to spend on this endeavor? It’s important to set a budget up front so you know what you can afford to invest in an island, and also what you can devote to its upkeep. Keep in mind that many banks won’t finance island property since it is difficult to appraise, so you may need to have cash in hand for this purchase, as well as for any building and maintenance costs. It’s also essential to note that in addition to the initial expense, the costs of owning an island are ongoing, so keep this mind as you look around. Operating details such as water, electricity and other modern conveniences can be more expensive on an island than on land. In addition, depending on in which part of the world the island you are considering exists, you may have to deal with different real estate and investment laws, so always be sure to check out the facts and also to hire a lawyer to protect your best interests. You want to be sure that the title to the land is clear and that there are no claims on the land, among other things. How much are you willing to spend for paradise? What you can expect to pay can span an extremely large range. The prices start with a small, very remote island in Nova Scotia, Canada, for just under $30,000. While this is the low end of the price scale, you will have more to choose from as you increase your budget. Most undeveloped islands in Canada are about $100,000 and up (in American dollars). Or for about $200,000, you can find a small Maine island with a habitable structure on it. If you are willing to spend upwards of about half a million, give or take, islands in the South American region may be a good bet. A million dollars can get you a modest island in Tahiti, Italy, the Philippines or a host of other places. And $2 million gets you a hideaway off the coast of Curacao, while $3 million can buy an Alaskan island. And for a steeper investment, on up to about $16 million, you can have your own island in the Bahamas or the Caribbean or somewhere else highly desirable. Some of the larger, and more accessible, locations may have the potential you need to build a large resort that will cater to the rich and famous. Just keep in mind that if you decide to go for an undeveloped island, experts point out that this can typically cost about 1.5 to 2 times more to build on an island than you would pay on the coast or further inland. Of course, if you can afford the price tag for such an extravagant island, likely you will be able to handle the building expenses. But if you have a smaller island you want to use for you and your closest families and friends and your budget is indeed, tight, a feasible way around this challenge is to opt for a prefab house. For a cost of about $20,000 per structure, this can be a cost-effective solution to turn your island into your home. The price for an island starts at $30,000 and goes on up to $16 million or more. Whatever you decide to spend and wherever you decide to spend it, just keep in mind that the choices will continue to dwindle over the years, and as availability lessens, the prices continue to grow, so if you want to own your own island someday soon, don’t wait too long or you may miss your chance. Real estate experts also point out that an island with large potential that is close to the mainland is likely a good investment bet, while a more remote island can be risky, since you don’t know how much you will need to spend on development and you there may not be enough demand to get your money back on it. But if a profit isn’t your goal and you just want a place where you can escape to get away from it all, then don’t be afraid to fall in love with a tiny and remote slice of paradise off of the beaten path. While there certainly are islands for most budgets, no matter whether you pick a small, inexpensive one or splurge on one in a highly desirable location, the fact is that this is a major investment. Therefore, you want to be sure you pick the right spot for you and your preferences. One way to do this is by renting an island and trying it out first, before you make the bigger commitment. Some of the reputable island real estate brokers can connect you with properties for rent. The prices can be in keeping with a typical trip to a hotel. Once you try it for few nights, you should have a good idea whether island living and ownership is the right fit for you.